"Rent" is putting on one more show to help support relief efforts in Haiti. One of the directors told the Washington Examiner that all proceeds will go directly to Doctors Without Borders to support their efforts in the earthquake-ravaged nation. 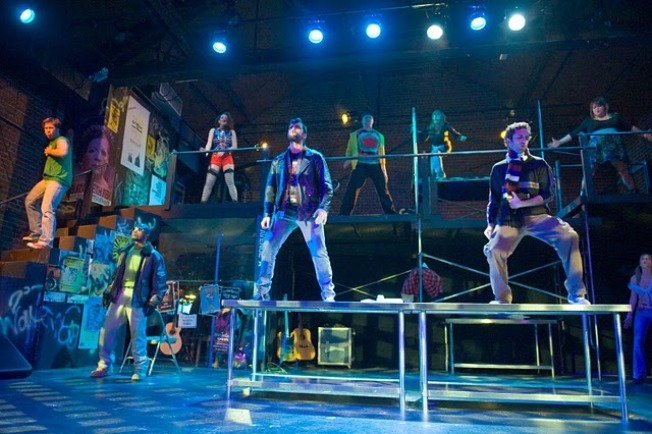 "I approached the actors, band and crew," Mark Rhea, co-director of "Rent," told the Examiner. "And they all agreed to waive their fees for the night so that we could donate 100 percent of the proceeds from the performance to Doctors Without Borders, an organization that is on the ground year-round in Haiti. We hope to sell out and give Doctors Without Borders the biggest donation we can." The 8 p.m. last-run performance of "Rent" happens tonight at the Keegan Theatre. Tickets are $50.